The EasyStand Zing Supine Size 1 is the smaller version of the Zing Supine Size 2. The Zing Supine provides positioning opportunities from flat-to-load supine to vertical. 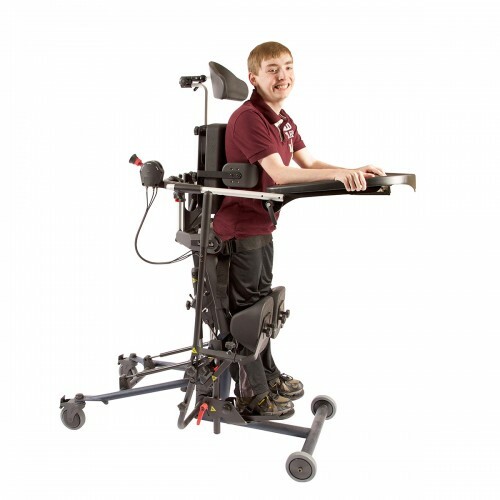 It is also one of the few standers that provides the option of up to 30 degrees of independent leg abduction. The Zing Supine TT features the larger pads and padded strapping options of the MPS TT and positioning from flat to load supine to vertical. The Zing Prone is a single position stander but is one of the few to offer a flat-to-load transfer position at a comfortable height of 32″. Prone positioning from 0-90 degrees. The EasyStand Zing MPS is the only multi-position stander that pivots two directions, allowing the unit to go from flat-to-load supine to 20 degrees prone in one motion. There is no need to transfer the user in and out, flip pads, foot plates and trays. 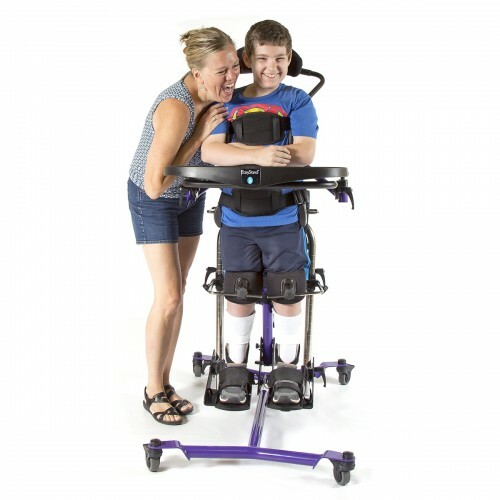 This ability provides a therapeutic opportunity not possible with other standing frames. It is also one of the few standers that provides the option of up to 30 degrees of independent leg abduction. The Zing MPS is also available in Size 2. 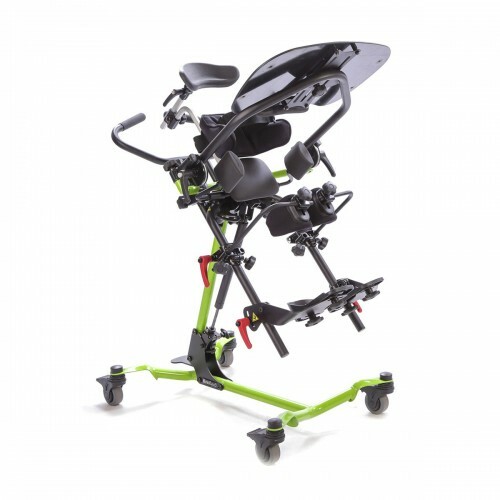 The Zing MPS TT (tilt-table style stander) and Zing MPS are capable of supine to prone in one motion, up to 30 degrees of independent leg abduction, and have an available swing-away tray. 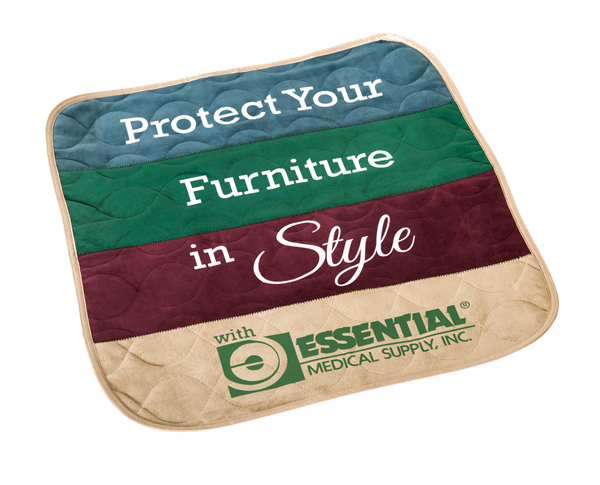 The MPS TT or tilt-table style features a longer, wider upper body support pad and has the option for padded strapping, rather than individual support and positioning components. That said, with the MPS TT, if more support is needed in specific areas, the same support and positioning components that are available on the MPS can be added to the MPS TT, where needed. The Zing MPS TT is also available in Size 2. Fits individuals from 40-60″ and up to 154 lbs. The EasyStand Zing Supine Size 2 with Gas Spring Lift is a larger version of the Zing Supine Size 1. The Zing Supine provides positioning opportunities from flat-to-load supine to vertical. It is also one of the few standers that provides the option of up to 30 degrees of independent leg abduction. The Zing Supine Size 2 base is available with Gas Spring Lift or Pow’r Up Lift. Fits individuals from 40-60″ and up to 154 lbs. The EasyStand Zing Supine TT Size 2 with Gas Spring Lift is a larger version of the Zing Supine TT Size 1. The Zing Supine provides positioning opportunities from flat-to-load supine to vertical. It is also one of the few standers that provides the option of up to 30 degrees of independent leg abduction. The Zing Supine TT Size 2 base is available with Gas Spring Lift or Pow’r Up Lift. Fits individuals from 40-60″ and up to 154 lbs. The Zing Prone is a single position stander but is one of the few to offer a flat-to-load transfer position at a comfortable height of 31″. Prone positioning from 0-90 degrees including vertical and up to 30 degrees of independent leg abduction. Fits individuals from 40-60″ and up to 154 lbs. 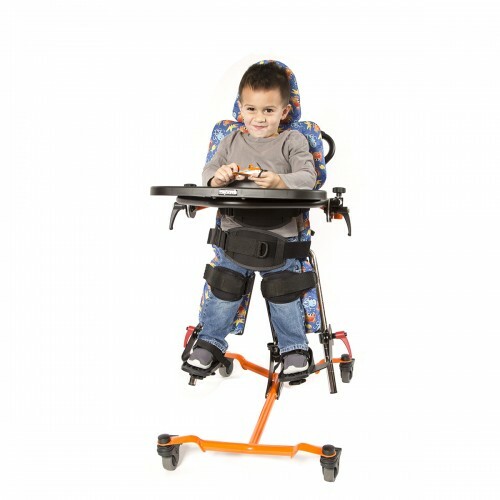 The EasyStand Zing MPS TT is the only multi-position stander that pivots two directions, allowing the unit to go from flat-to-load supine to 20 degrees prone in one motion. There is no need to transfer the user in and out, flip pads, foot plates and trays. 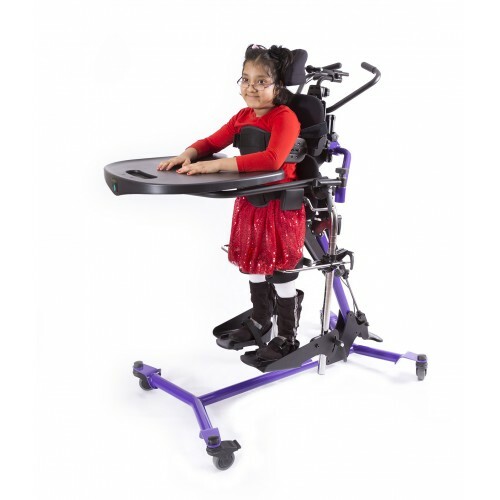 This ability provides a therapeutic opportunity not possible with other standing frames. It is also one of the few standers that provides the option of up to 30 degrees of independent leg abduction. The Zing MPS TT size 2 base is available with Gas Spring Lift or Pow’r Up Lift. Fits individuals from 40-60″ and up to 154 lbs. 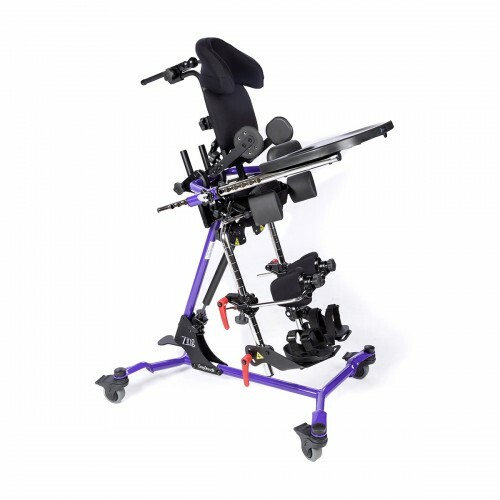 The EasyStand Zing MPS is the only multi-position stander that pivots two directions, allowing the unit to go from flat-to-load supine to 20 degrees prone in one motion. There is no need to transfer the user in and out, flip pads, foot plates and trays. 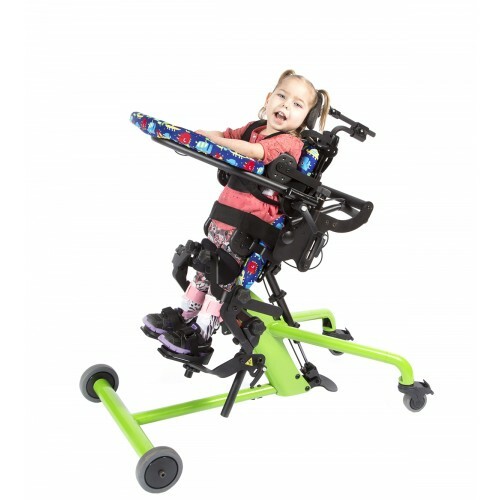 This ability provides a therapeutic opportunity not possible with other standing frames. It is also one of the few standers that provides the option of up to 30 degrees of independent leg abduction. The Zing MPS size 2 base is available with Gas Spring Lift or Pow’r Up Lift. Fits kids 36”-54” tall and up to 100 lbs. Seat Depth Range (from seat pivot) 11″-16″. The Bantam line of standers are the only sit to stand standers that can combine the option of supine positioning to create infinite positioning possibilities from 90-90 sitting, fully vertical standing, full supine lying and anywhere in between. No other standers can provide the amount of positioning that is possible with the EasyStand Bantam. Fits kids 28”-40” tall and up to 50 lbs. Seat Depth Range (from seat pivot with back) 7″-12″. The Bantam line of standers are the only sit to stand standers that can combine the option of supine positioning to create infinite positioning possibilities from 90-90 sitting, fully vertical standing, full supine lying and anywhere in between. 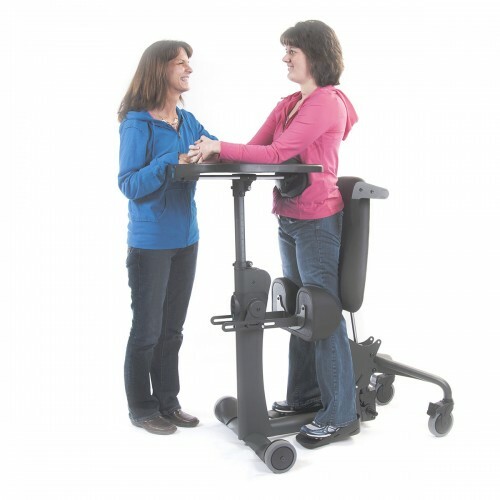 No other standers can provide the amount of positioning that is possible with the EasyStand Bantam. Fits individuals from 5’0-6’2” and up to 280 lbs. Seat Depth Range (from seat pivot) 18″-23″. 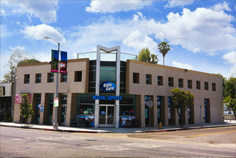 The Evolv E3 is a variation of the Evolv. 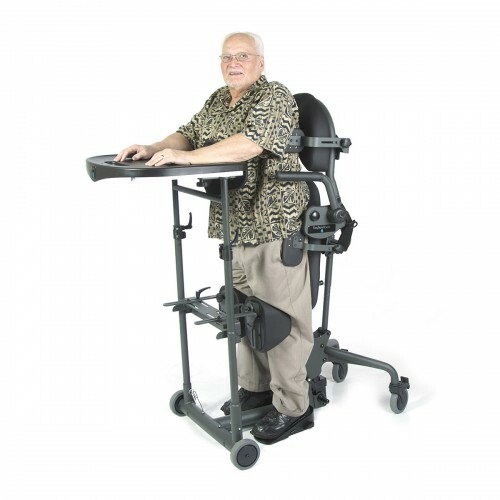 The base unit comes with a no-tray chest pad, and height-only adjustable foot plates. Fits users: up to 200 lbs. approximate height range: 4′-5’6. The Evolv E3 is a variation of the Evolv. 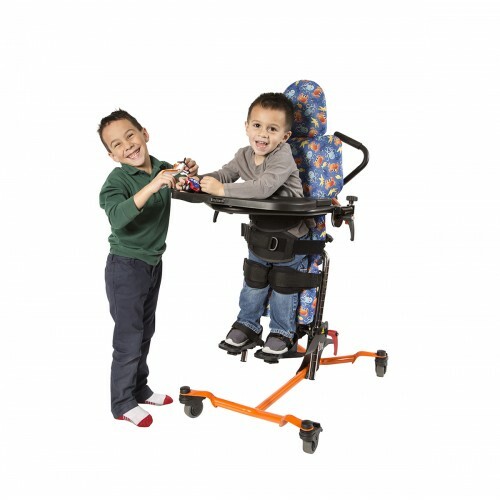 The base unit comes with a no-tray chest pad, and height-only adjustable foot plates, which lowers the base unit price. Fits users 4′-5’6” tall and up to 200 lbs. Seat Depth Range (from seat pivot) 15″-20″. The Bantam line of standers are the only sit to stand standers that can combine the option of supine positioning to create infinite positioning possibilities from 90-90 sitting, fully vertical standing, full supine lying and anywhere in between. 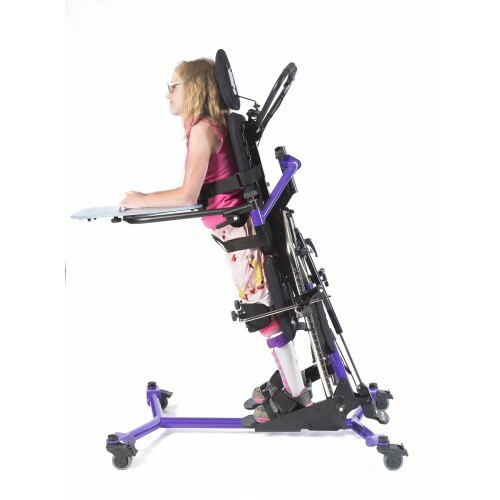 No other standers can provide the amount of positioning that is possible with the EasyStand Bantam.